Online web site builder, website software, homepage creator, personal ecommerce - ez-webbuilder.com. Owning a Website has Never Been Easier! No Programmers or Designers Needed. Update Your Site From Any Computer! Welcome to the easiest and most affordable way to get your business online. Only $29.95 per month! Do it now! A complete web design solution, ez-webbuilder is the perfect software for business professionals who want to have control of their own online presence. You won't need an expensive web designer or an invisble web host! Almost 200,000 people like you have used this amazing technology to build professional websites! With ez-webbuilder you'll instantly create web pages, photo albums, email addresses, links and get set up to sell whatever you want using our secure, encrypted shopping cart system. No experience is needed. Simply point and click! "to make your own website there's no need for you to know any programming what so ever. It's one of the most powerful ways to create a professional looking website. 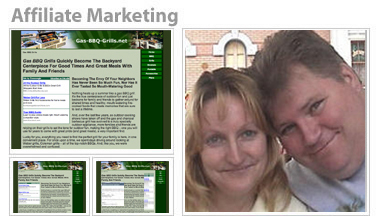 A powerful site like this can help your business grow and be more profitable. With a click of a button you can add great features to give your site a professional look"
ez-webbuilder is so easy to use you'll always stay one step ahead of your competition. Change your site’s features on the fly, update sales reports,products and pricing in SECONDS! Adding text to your website is as easy as typing a letter. Your ez-webbuilder site includes text editing tools that look and act just like MS Word complete with all the buttons and commands you already know how to use. To purchase your website and get started, simply click on the 10-Day trial button. Select a template and see how easy it is to get started. Don't worry you can always change the template later. This step will get you familiar with the ez-webbuilder process and you will be amazed how quickly your website can come together! ez-webbuilder is so easy to use you'll always stay one step ahead of your competition. Change your site’s features on the fly, update sales reports, products and pricing in SECONDS! Adding text to your website is as easy as typing a letter. Your ez-webbuilder site includes text editing tools that look and act just like MS Word complete with all the buttons and commands you already know how to use. To purchase your website and get started, simply click on the 10-Day trial button. Select a template and see how easy it is to get started. Don't worry you can always change the template later. This is awesome! I have been waiting for a site builder like ez-webbuilder for a long, long time! It's so easy that not only my students, but my wife and kids are building sites too. Add 500 products! Take credit cards! The ez- webbuilder shopping cart delivers. Add up to 500 photos, load them into multiple photo albums. Set up a links page with useful resources within minutes. Set up a google site map automatically!